What are Cheaper models of Bluetooth Headsets? In general terms, the Bluetooth Headsets priced below $50 or INR 2500/- are considered cheaper models in International and Indian markets respectively. Therefore, applying the same yardstick let us consider some of the cheaper models of Bluetooth Headsets available in India and at international level. 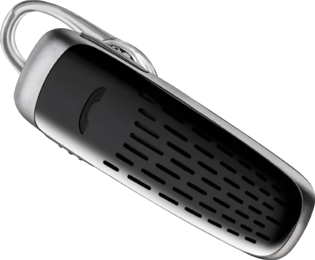 The Marque 2 M165 Bluetooth Headset from Plantronics is considered a perfect fit for the Smart Phone. It has got twin microphones which enables you in noise reduction and reduction of wind sound thus providing you with crystal call quality. It has also got DeepSleep power-saving mode for saving Headset power. It has also got a dual charger for charging your Smart Phone and Bluetooth Headset simultaneously from any power source like car or computer. You can operate this Bluetooth headset with your voice command like "answer" or "ignore" etc. It also have MyHeadset application from Plantronics. This headset easily fits all ear shapes with its universal fit gel eartip. You can use this headset for listening to driving directions, internet radio, movies, music etc. The MyHeadset application can be used for discovering streaming audio, pre call sound checking, sharing memo and recording. The same application provides the Android Smart Phone users with widget for charging levels, connectivity and viewing battery and an on screen battery meter. This Bluetooth Headset also provides Headset battery meter for iPad and iPhone. Marque 2 M165 Bluetooth Headset is available in two colors viz., Black and White. This headset also has Multipoint technology for pairing with other Bluetooth devices. It weighs 7 grams. Headset uses Micro USB charging. This M55 Bluetooth Headset from Plantronics is one of the simplest headsets. You can attend to calls without using any button but your voice. For managing your emails, you can use the Vocalyst service available in this headset. M55 Headset can stay charges a maximum of 5 months through the DeepSleep mode. As usual, you can use this headset for listening to Internet radio, music, calls etc. The DeepSleep mode which saves power is activated in M55 Bluetooth Headset when the headset is away from Mobile for more than 90 minutes. If you enter the Bluetooth range of 33 feet or less than that, it is enough that you tap on your headset to wakeup. The maximum usage of DeepSleep can enhance the standy days of headset from 16 days to 150 days. Other features like noise reduction, battery level alerts etc. are also available in this M55 Bluetooth Headset. It is the simplest of Headset from the Plantronics Bluetooth Headset family. It has almost got all the above features explained in M55 Bluetooth Headset, yet cheaper because of certain technological changes / differences from the previous one. The specific specialty of the M25 Bluetooth Headset is that it provides crystal clear voice from your Smart Phone which is wideband enabled. Also M25 fits easily and comfortably with any one of your ears. 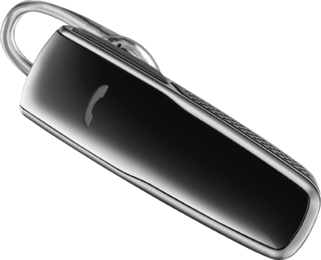 All the above models of Bluetooth Headset from Plantronics are priced below $50 or INR 2500/-, therefore can be termed as cheaper models of Bluetooth Headset in Indian and International markets. As you may know, pricing is an important criterion in electronic goods and as you pay more, you get sophisticated gadgets and if you pay peanuts, only you can get monkeys. Its true in electronic gadgets too.